Hi, I'm new here and was surprised to find a entire forum dedicated to gloves like this. I'm glad I found it. 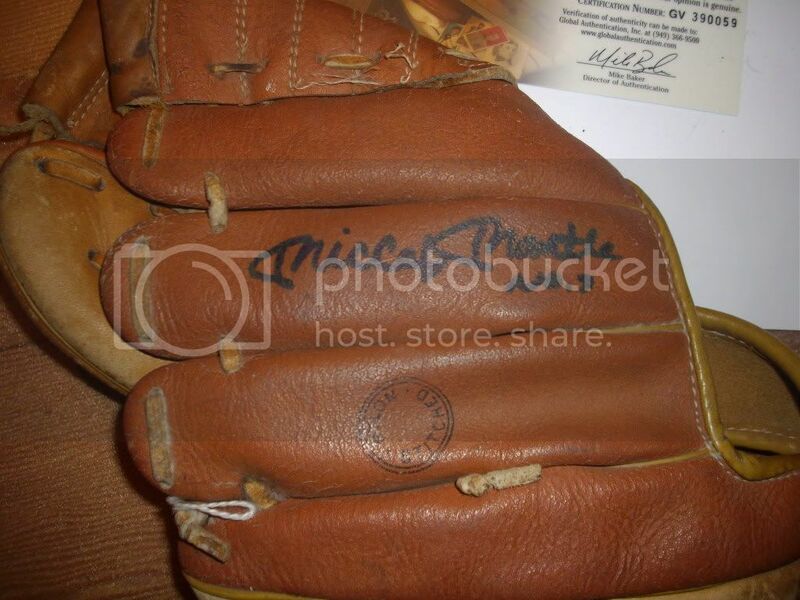 My problem is that I came across a Mickey Mantle autographed glove. It's certainly not a special glove without the sig. I sent it in to have the auto certified - before I go to any effort to preserve/restore it. 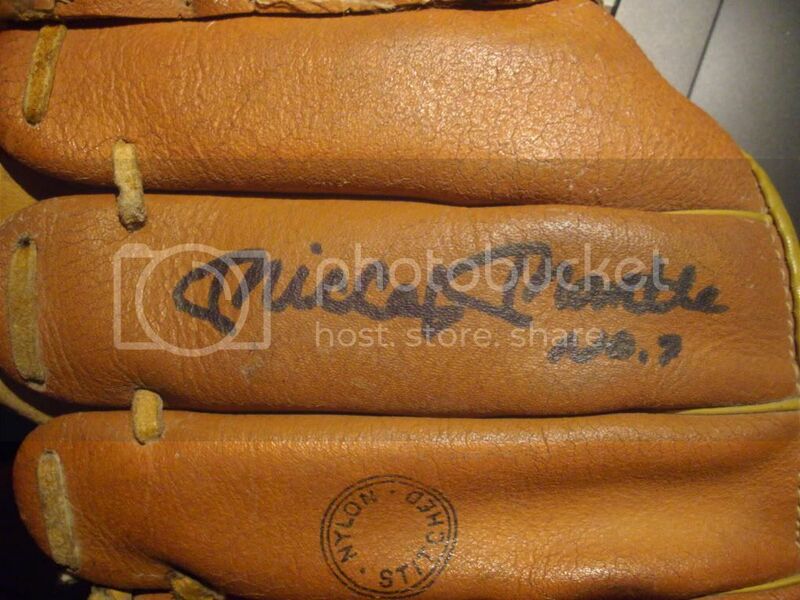 I have had the auto authenticated by GAI, and now need to look at cleaning up the glove. It's a youth Sears model. The exterior leather is cracking and there is small areas of mildew, mostly inside. I'd appreciate any advice. I'm really just looking to preserve the value as much as possible. 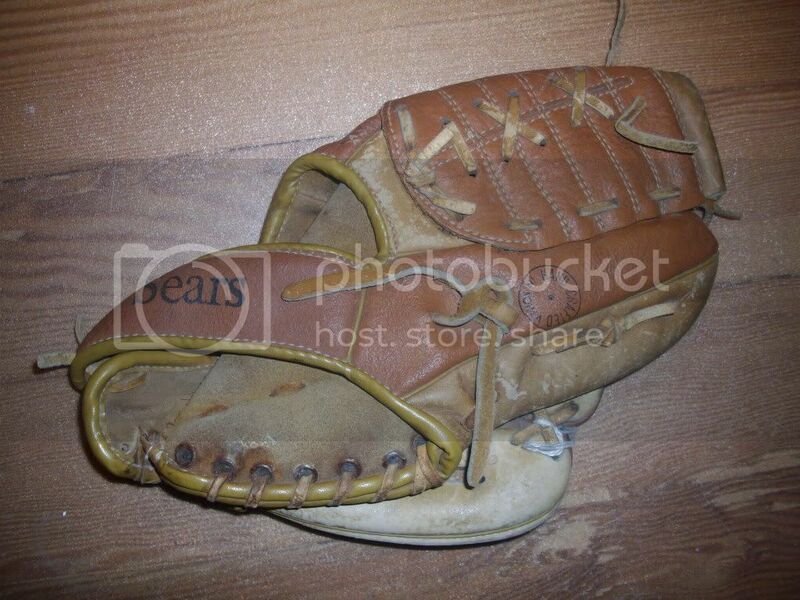 I guess that I would approach restoring this glove the same way as any other. Clean and condition the leather with good quality products made for that purpose and then replace the laces with new ones. As gloves go, the glove itself is neither rare or collectible. What makes this one a keeper is, of course, the Mantle signature. With that in mind, I would be especially delicate with any cleaning efforts in the area of the signature, perhaps not touching it with any cleaning products at all, or maybe just a couple of light, light swipes with a soft cloth. But I wouldn't worry too much about damaging the the Mick's autograph. It looks like it was done in Sharpie/magic marker and, as most guys on this forum will tell you, magic marker is almost impossible to remove from leather. Usually, the problem that glove collectors are dealing with is trying to get ink off of a glove, not taking special care to leave it behind! My own efforts to clean magic marker from a glove have been mixed. I've tried just about every possible cleaner and scrubbed with all my might and usually am only successful in lightening the ink just a little bit. I've even used a fine grit sandpaper to sand off the top layer of the leather and you can still see some traces left behind. They call it "permanent marker" and, on leather at least, that stuff is pretty darn close to permanent! It soaks into the pores of leather like a tattoo and is almost impossible to remove. I really think that you could have this glove looking great, with the pocket shaped nice and round and a form like a new glove, without having any fear of damaging the valuable autograph. Thanks a lot Bret. I feel better now knowing that the signature is on there pretty good. I'll do the research now and figure out the best cleaning conditioning methods. You should be able to find plenty of tips if you search through the "Glove Conditioning" and "Glove Restoration" sections of this forum. Good luck! 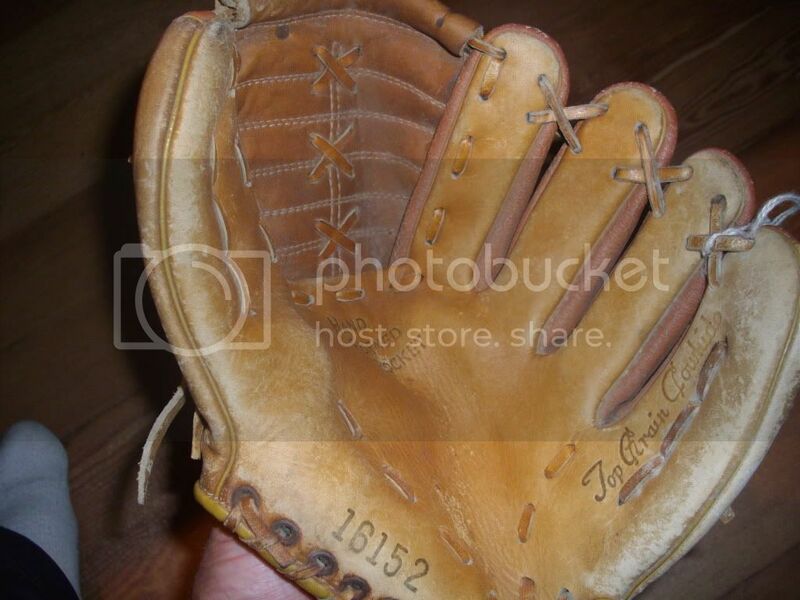 this is NOT expensive leather on this glove. Be careful about staining with a cleaner or conditioner on this type leather as experience has shown for me. Bret's right about probably not damaging or affecting the Mantle autograph. lightly to see what kind of response you get from the leather. It may darken the leather. may not.